This past weekend I had the great pleasure of meeting the identical twin design duo behind the designer jean line Chip & Pepper, Chip and Pepper Foster themselves! I think I was the exact right age to hit the designer denim trend when it got really big starting in 2003. As a sophomore in high school I dropped $150+ of my hard earned babysitting money on my first pair of designer duds. And I gotta say I still have them to this day (now shorts, seen here). 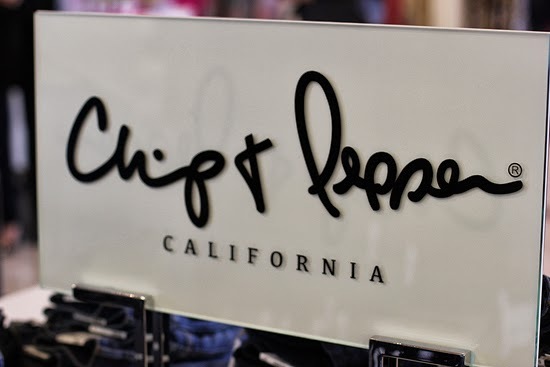 So when I was contacted about meeting Chip & Pepper for an afternoon of chatting & shopping, I said, "be right there!" 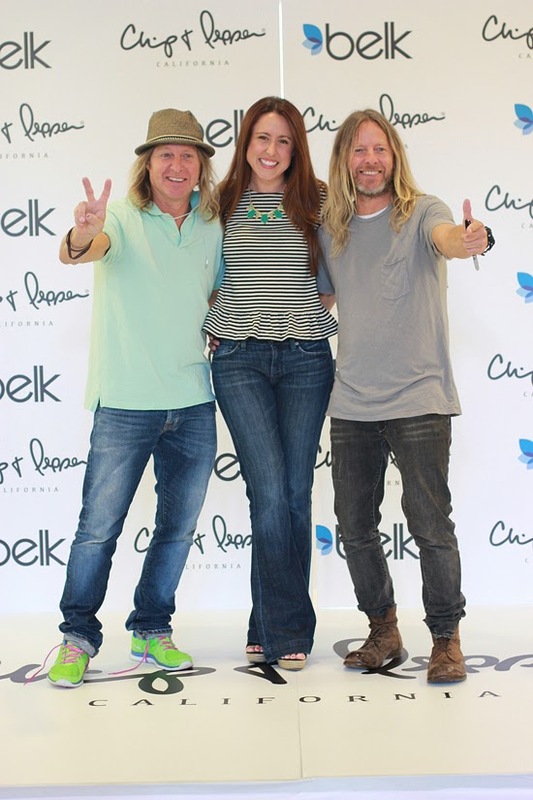 So last Saturday I sat down with brothers Chip & Pepper at my local Belk store to chat & check out their latest designer denim project. I honestly don't know what I was expecting, but I was blown away by how "real" these guys were. 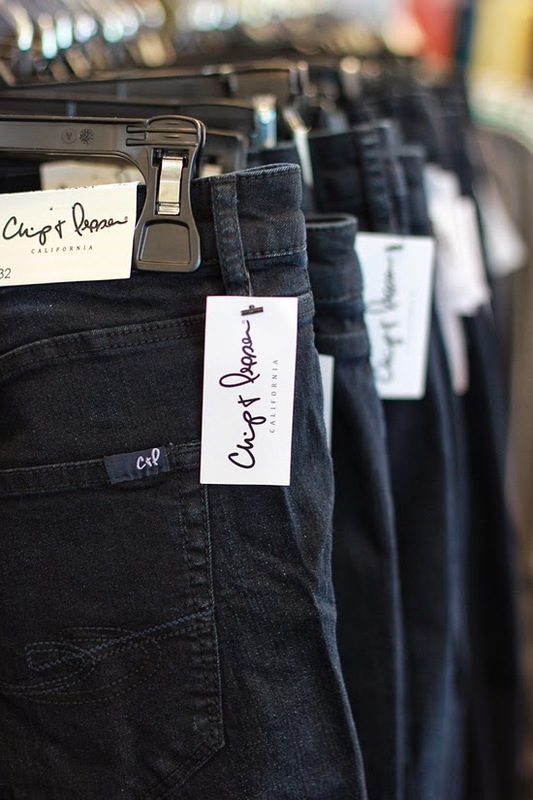 They epitomize California cool, two brothers designing great looking jeans out of their Malibu, CA studio, fueled by the belief that the only tears women should have when trying on jeans are tears of joy. Once in Belk, I found myself surrounded not by $200 denim (the original Chip & Pepper line's price point), but by $68 denim. 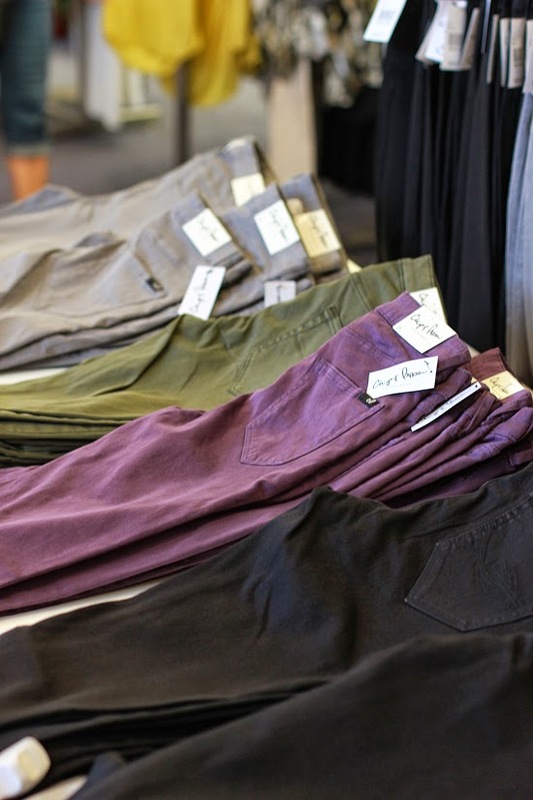 Still in the totally flattering cuts, amazingly high quality fabric, with all the finishing seams & of the moment colors that the brothers have come to be known for. 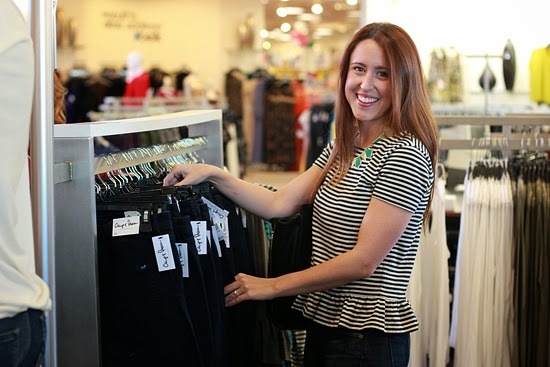 By partnering with Belk & placing a larger order, Chip & Pepper have mastered how to bring designer denim to the masses without sacrificing anything... to make every women feel good about the way she looks when she slips on her favorite pair of jeans. Chip & Pepper for Belk is the same product, the seriously soft & high quality fabrics, but made at a price for the "every girl", bringing premium to everyone. And let me tell you first hand, it is so true. I haven't purchased any "premium" denim since my days of working retail (& that sweet sweet 40% discount), but slipping into pair after pair of jeans on Saturday was a dream. It was so fun because there were younger girls, women with children, middle-age women & even some much older women all in the dressing rooms around me, & the responses from them were just the same as mine - dang these jeans are gooooood! It was amazing how the same pair of skinny jeans were working for me & the sweet mother of 3 next door too. The jeans are that well crafted. I left with the curvy bootcut jeans, a new design crush on Chip & Pepper & the belief that jeans that make you seriously feel great, should fit you & your budget. *I had a hard time passing this pair up with subtle side tuxedo stripes & ankle zippers, the pictures online do it zero justice! 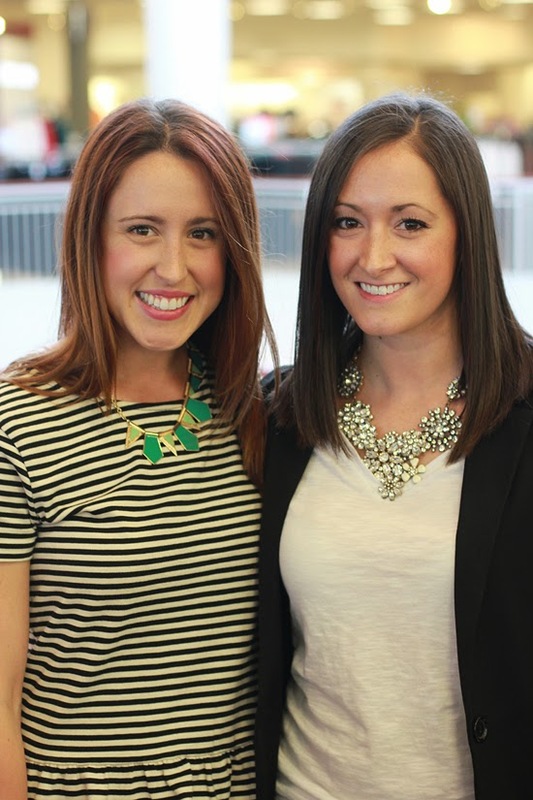 Oh & I love running into fellow BlogNashville ladies out & about... It's Morgan from Wake up Your Wardrobe! Did you ever wear Chip & Pepper back in the day? 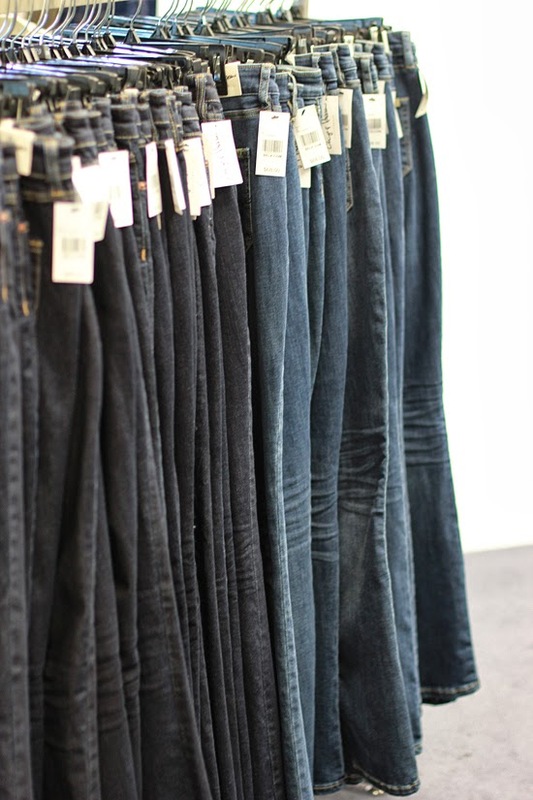 Would you be up for trying designer denim from Belk? I love that top you're wearing! And I always like hearing about new-to-me brands of jeans. You can never have enough! That is so neat that you got to meet them! I love that the price point of this line is so affordable. What a fun opportunity! And way better price point for designer denim!